Description: Armi-Galesi 1-7rd clip 2.25" barrel 25 cal pistol handgun (made in Italy) 1958 vintage black color w/slide lock lever safety. 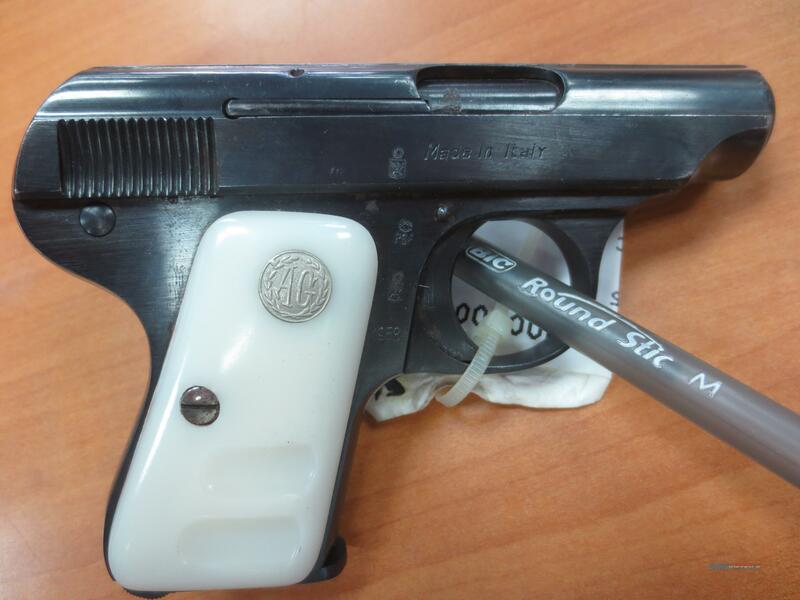 white plastic grips w/"AG" emblem.This is a tiny ladies pocket pistol. Not qualified for California sales!